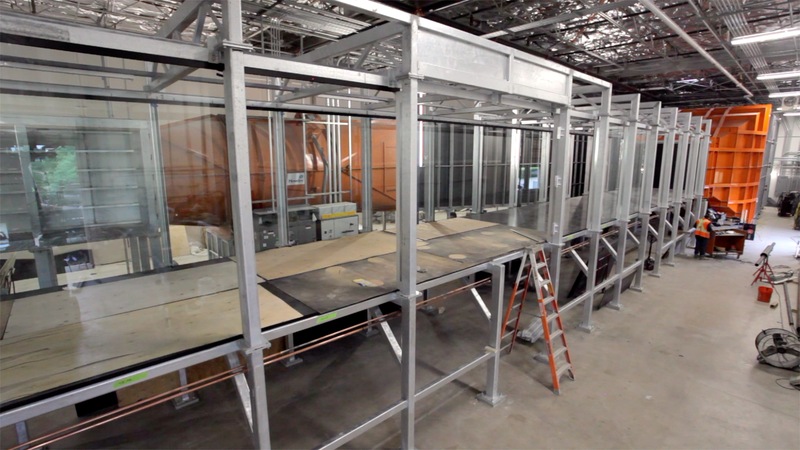 LMC Corporation was awarded the demolitions and facility infrastructure component in the construction of the technologically advanced Waterview Wind Tunnel at the University of Texas at Dallas. The wind tunnel at UTD is a closed loop, atmospheric boundary layer wind tunnel and is only the second one of its nature to be constructed in the United States. In the high-speed test section the turbine, speeds of up to 55 meters per second replicate the friction off the earth’s planetary surface allowing for scale experimentation in aerodynamics and other scientific research. 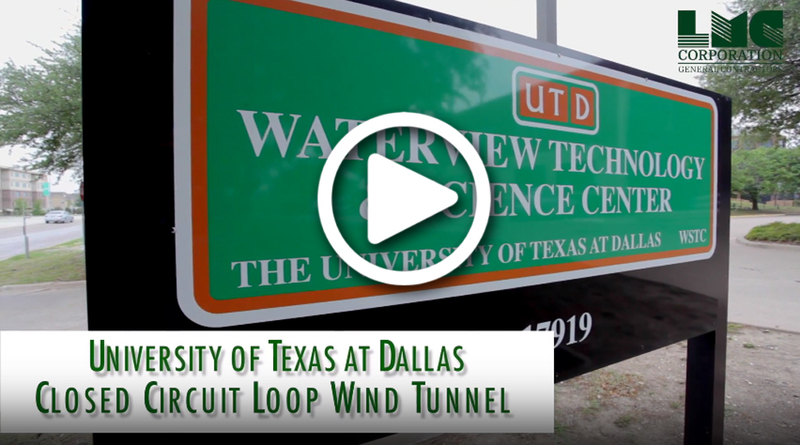 The gross dimensions of the wind tunnel are 170 ft. x 43ft x 21 ft. and it is located within the high bay area of the Waterview Science and Technology Center at UTD. The project included the foundation system for the wind tunnel, contraction section and evaporative cooler/cooling tower; housekeeping pads; electrical power; compressed air; water supply and drainage; a new loading dock; control room; elevated viewing platforms; acoustical treatments within the space and the adjacent occupied spaces and a fire control system.